Being an IRC dweller, I sometimes ask if people want to have their tulpas drawn by me. So, for posterity, I'll keep posting these drawings here. I'll usually ask the tulpa model if they allow me to post publicly, whenever I can find them at the time of posting. Otherwise, they are free to ask me to remove their portrait from here. Use either PM or post in this thread for that. Unfortunately, the filesize limit is 500KB. If you want a higher resolution version you gotta contact me directly. I could use an image host like imgur, but I can't trust them to store my file permanently. I'll post the common drawing of my own tulpa, Thekla , once I got it coloured. I wanted to learn better about colouring first. So, let's start off with the most popular I've got, yet. People say she looks smug. I think she's chewing on bubblegum. In my free time I'll draw what you ask me on the IRC and I POST IT. You can trust imgur to store files permanently. After all these years, it's the only site whose images are still up and embedded in ancient forum posts and stuff. 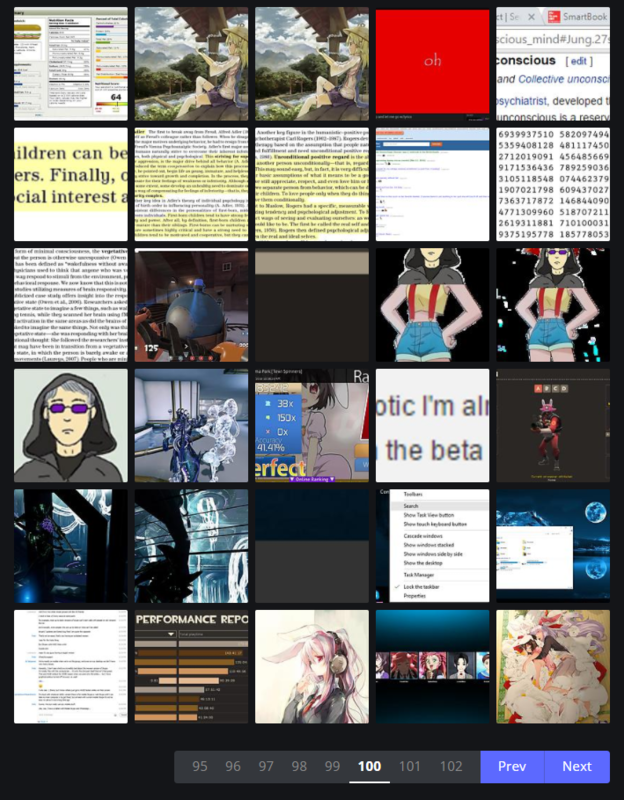 Literally all other sites I know of from 6+ years ago have lost images for one reason or another, but not imgur. I'm very adamant about this; it's an extremely reliable site, or at least up til this point literally nothing else has been as reliable. There's a typo in your first sentence by the way. Thanks Lumi, for the correction. And, no I won't be using Imgur so soon. I don't see the point for it, while the forum attachments work for me. She was feeling down, and I thought this would cheer her up. The legs are indeed anatomically incorrect. While I was drawing it, the correctly positioned legs made it appear as if we were looking down on her skirt, and so it was too creepy for me. Instead of changing the pose and start from scratch, I decided to move her right leg and hope it wouldn't be noticeable. The character features are a mix of various versions of the character from Touhou. I don't play that game, so I can't tell how authentic this is. 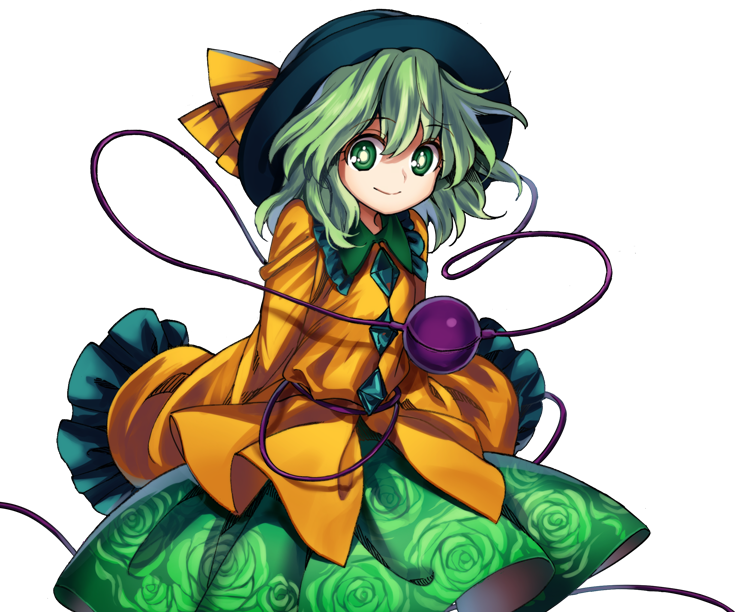 Koishi did note me that the "strings" coming from the orb, aren't supposed to connect to each other, and that the orb is actually a magical eye and heart. So, yeah... that's how little I know about the character. Ooo, a Touhou tulpa, those are somehow very rare. I've only ever heard of them being on the IRC I guess, but the IRC is always a huge waste of time when I attempt to use it so. The picture's fine, though I'd have made her ever-so-slightly less crazy looking, she's generally portrayed pretty cute despite being a bit.. mental. The cords of her (closed) 3rd eye kind of interweave with her dress as seen here. She's from Touhou 11, Subterranean Animism. The series has been going on from 1997 to present day, the fanbase is absolutely massive, and Danbooru lists 17,000 images containing Koishi Komeiji. You don't have to use Imgur, but a decent reason is the forum's tiny file size limit and its much lower chances of being around for as long as Imgur. 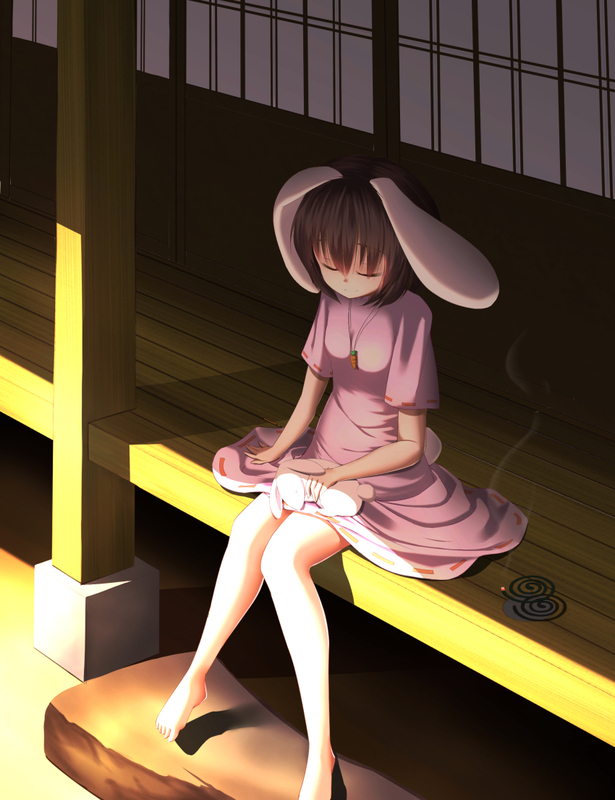 I've still got images from years ago I link to on my Imgur account, like this one of my tulpa Tewi, also a Touhou character. Also, my tulpas are all based on Touhou characters too, by the way. It's a very qualitative series. So, it was a pleasant surprise to see you draw a Touhou character right off the bat. I believe imgur does remove images that receive no views for 6 months. But hey, something is better than nothing right? if you want something to last the test of time, make sure it's on the internet archive. fictive tulpas in general are not to common. after all, we're all warned against expecting them to be exactly like their fictional counterparts. (01-27-2018, 12:39 AM)jean-luc Wrote: I believe imgur does remove images that receive no views for 6 months. But hey, something is better than nothing right? No matter how stupid/pointless/not-linked-to the image, they've stuck around for me. I used to delete my extra images but it became too much of a hassle to not accidentally delete ones that needed to stay around, hence the 102 pages, but yeah. You can trust Imgur, just create an account and set your pictures to be Unlisted by default. None of those images have random views or anything, the view counts are only as high as the number of people I linked them to. @Fictive tulpas, people ask all the time if it's okay to base tulpas on real/existing figures, and we say it's fine as long as they know they aren't the original they were based on. But I guess you're right, now that I think about it most tulpas seem to be totally original, how strange. Back in "my day", ie four years before I found out about tulpas, people were all making pony tulpas, so original wasn't even a concept. A lot of those tulpas were original in personality, or like.. cutie mark or color scheme, but that was it. Here's the thingie for today. I've never drawn MLP ponies before. I wanted to make a more cartoony looking mane, but I can't get it working. So, yeah... These are all the notes for this one. It's really nice of you to do this for people, you're a good artist. I think the mane looks cool, the fiery texture complements the blue so it doesn't look too blue.